Should you leave American Express for 24 months? We have spent a lot of time in the last few days discussing the new American Express sign-up bonus policy. In most cases, you need to cancel all of your personal American Express cards and wait two years before you would qualify for any new sign-up bonuses. As I pointed out on Thursday, for someone who does not have an American Express card and has not had one in the past 24 months, you can still earn 65,000 Avios relatively quickly. Get the Starwood Preferred Guest American Express (bonus of 30,000 Marriott Bonvoy points) or Nectar American Express (20,000 Nectar points) or Platinum Cashback or Platinum Cashback Everyday. I would see the Starwood option as the most valuable. The reason for the order here is that as soon as you get The Platinum Card or the British Airways Premium Plus card, you block yourself from all of the bonuses in the first list. If you converted the 30,000 Marriott Bonvoy points into 10,000 Avios and the 30,000 Membership Rewards points into 30,000 Avios, you would have earned 65,000 Avios fairly quickly from sign-up bonuses. What are your options as an existing cardholder? If you are currently an American Express personal cardholder, you have two options. For a lot of people, I think Option 2 is pretty attractive. Option 2 allows you, in two years time, to pick up 65,000 Avios relatively quickly via the application strategy I outline above. Your partner can do the same. Importantly, you can refer your partner for the cards using the ‘refer a friend’ programme. Add in the referral bonuses and you can still earn over 150,000 Avios between two people once every two years. What would you do for 24 months whilst you are waiting? Spend on a totally different card. There are plenty of alternatives out there. It is worth remembering that KLM and Air France will soon be redeemable with Virgin Flying Club miles, adding a lot of extra options. You get some decent long-term incentives too. The IHG Rewards Club Premium Mastercard offers you a free night voucher each year if you spend £10,000. 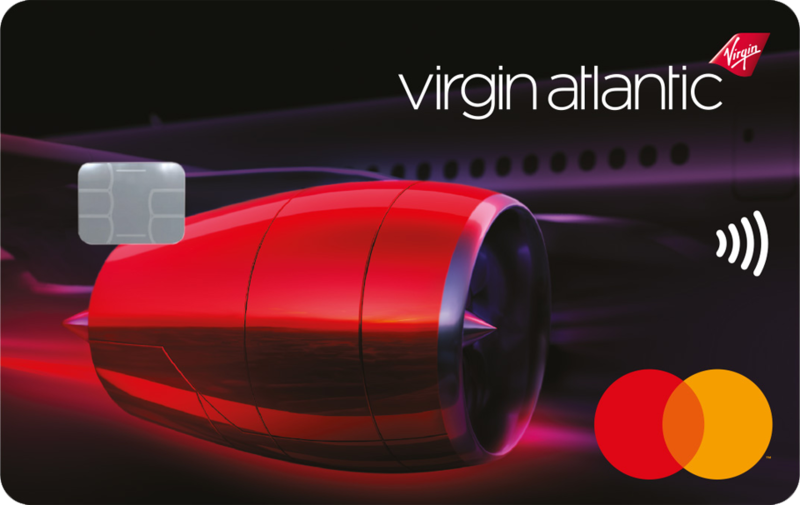 The Virgin Atlantic credit cards offer a 2-4-1 or upgrade voucher each year if you spend £10,000. If you cancel all of your American Express cards, I showed you above how – in 24 months time – you can pick up 65,000 Avios fairly quickly via three applications. Most people can’t hit these targets and are better off cancelling everything – you will earn more miles from Amex by cancelling and waiting 24 months. This also ignores the huge number of points you’d earn by diverting your spend to one of the other cards above. The key problem, if you cancel all of your American Express cards to restart the 24 month clock, is not earning a British Airways American Express Premium Plus 2-4-1 voucher. You might be happy to skip the voucher for two years, especially if you have existing vouchers to use up. If you are still earning a lot of Avios via other routes (like flying!) you may well need to bite the bullet and keep your BA Amex open. This doesn’t totally stop you getting other bonuses. 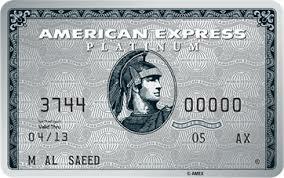 You would still be eligible to apply for The Platinum Card every 24 months and receive a 30,000 points sign-up bonus. And you need an Amex to pay the taxes on your 2-4-1 tickets …. Remember that you need to pay the taxes when you redeem a British Airways 2-4-1 voucher using an American Express card. Despite what the rules say, it doesn’t need to be a BA Amex and it doesn’t need to be in your name (Amex does not check names as part of its card verification) but you WILL need access to an American Express. And possibly a Platinum-coloured elephant too …. For some people, The Platinum Card poses a similar dilemma. What will you do for airport lounge access, travel insurance, hotel status etc during your 24 month hiatus? Finally, do the Amex cashback offers have value to you? Most of us have save £100+ per year via the cashback offers added to our Amex card statements. You should factor the loss of those savings into your calculations. Forget everything you just read if you have a small business. The sign-up rules on Amex Gold Business and Amex Platinum Business have not changed and you can reapply for those and receive a new bonus after just a six month gap. You need to decide if you are going to walk away from American Express entirely for the next 24 months. For many HFP readers, this may be a sensible strategy. Put your credit card spend on other products and then, in two years time, return to American Express and get three cards in quick succession – earning 65,000 Avios – using the strategy above. The Virgin 241 voucher that you mentioned above is terrible value compared to the BA one as you are not able to use it for Upper class unless you are Virgin Gold which requires over 10 flights per year. And as Rob states, the 241 for BA is irrelevant if you don’t have enough Avios. I for one have already cancelled all my Amex cards and have moved to Virgin / IHG now. I know for a fact I can earn enough for 2 return upper class flights each year and I know Mastercard is accepted everywhere. See you in 24 months. Exactly! I would struggle to hit that requirement if BA imposed it let alone Virgin who I haven’t flown with in years. Key risk is another change of rules in the next 2 years. If you can put £1,800 per month through a BA Amex you are better off keeping it (2,700 Avios per month = 32,400 per annum plus you’d earn 2 x 2-4-1 vouchers in the period as well). This excludes any spend with BA and any bonus point offers. You would have to cancel the card and re-apply to earn more than one voucher though. No, as you earn 241 each year and the example given is over a 2 year period. If I decide to walk away from American Express. What happens with my points? Do I have to make a decision and convert them to air miles ? Great article by the way !! I think it’s transfer them or lose them. If you mean with walking away cancelling the cards, yes you would lose your Membership Rewards points if you don’t use them. I think nowadays you have 2 months to use them after cancellation. Other rewards points e.g. Avios and Nectar should normally be transferred to your associated point accounts. Can I transfer them to my wife’s account? That makes sense. Puts me in a dilemma because I’m not sure which airline I want to commit to. Thanks. Up from under your bridge early this morning! Hs the pro rata refund ever been in the T&Cs does anyone know? Not sure spending £645 to get 65.000 Avios is a wise option for most people. You’ll need to make the 2-4-1 voucher really work. 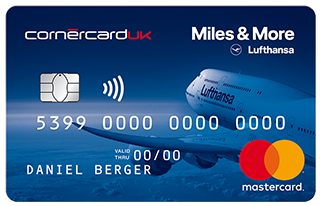 If Mastercard/Visa would come with Avios earning rates similar to the Virgin cards, it would be end of AmEx unless they change their tact. I have a BA 241 booking for next January and I am very close to earning my next 241 voucher on my BAPP. Once I have earned my next 241 voucher, am I safe in cancelling all my Amex cards and will my flights and voucher be safe from cancellation? Don’t forget you need to use an Amex card to pay fees on 241 booking. Now atm you can use any Amex card in any ones name. People are concerned that Amex might enforce the rule that it needs to be the card you earned it on. Any indication whether the benefits/earning rate for Gold and Platinum are likely to change following these changes? You need to retain one Amex to use the 2-4-1 BA voucher. So what are the other options for that if trying to start the two clock. Surely a lot could change in the next 24 months. Like the Starwood and BA cards being pulled for example. Yes, very much a risk. Am I right that I’m only eligible for the ba card? If I cancel both now, I’m restarting the clock for all except ba which I am still eligible for? So if you don’t have the money you can’t fly. At this point, I’m thinking to churn BAPP every 2 years with supplementary card use and referrals to and from my wife, but still earning an annual 241, and high churn the gold cards for referral bonuses, i9k a time and I am sure we can earn 3 or 4 referrals a year, just cancelling, wait a month and reopening. How many people keep gold beyond the first free year anyway. So for gold this increases the churn incentive, not decreases it. If you decided to keep your cards could you still get the referral bonuses from referring your partner even if they have had a card in the last 24 months?